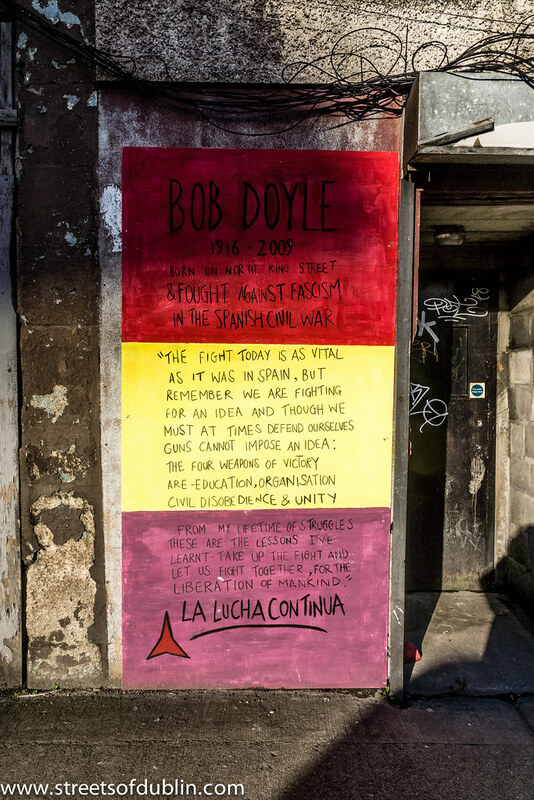 Robert Andrew "Bob" Doyle (12 February 1916 – 22 January 2009) was an activist, World War II veteran and an Irish member of the International Brigades during the Spanish Civil War. Doyle was born in a North King Street tenement in Dublin, Ireland and became interested in politics during the 1930s. 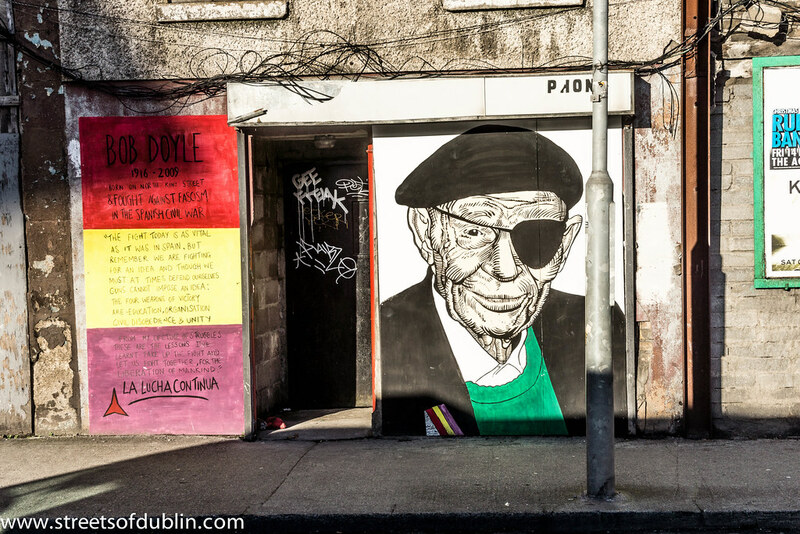 In 1933, he was part of an anti-communist mob that attacked Connolly House. 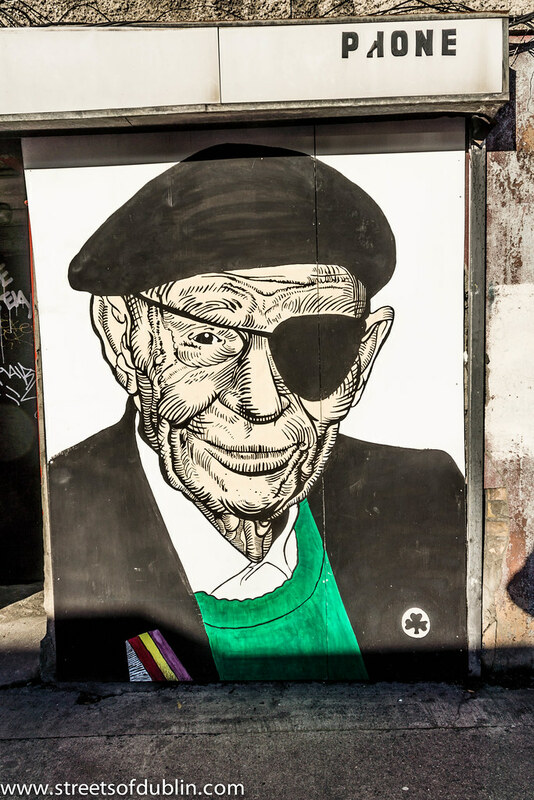 He joined the Irish Republican Army (IRA) after losing his left eye in a brawl with Blueshirts. He quickly became more interested in social rather than Irish nationalist issues and in 1937 decided to volunteer for the International Brigades, motivated in part by the fact that his friend and IRA veteran Kit Conway had been killed in action in the Battle of Jarama on Doyle’s 21st birthday. He initially attempted to travel to Spain by stowing away aboard a boat bound for Valencia, where he was detained and expelled. He eventually returned by crossing the Pyrenees from France. After he returned to Spain, he reported to a battalion at Figueras. He was initially required to train new recruits because of his IRA experience, but disobeyed orders to get to the front. After fighting at Belchite, he was captured at Gandesa by the Italian fascist Corpo Truppe Volontarie in 1938, along with Irish International Brigade leader Frank Ryan. He was imprisoned for 11 months in a concentration camp near Burgos. There he was once brought out to be shot and he was regularly tortured by Spanish fascist guards and interrogated by the Gestapo before being released in a prisoner exchange. Doyle enlisted in the British merchant navy during World War II before settling in London with his Spanish wife, Lola. He became active in the Fleet Street print trade unions. A regular visitor to Spain and Ireland for International Brigade commemorations, he published an account of his experiences in Spain in Brigadista: An Irishman’s Fight Against Fascism. Bob Doyle died at the age of 92 on the 22nd January 2009. His ashes were carried at the head of a funeral procession through the streets of Dublin. Large numbers of people, including members of the Irish Labour Party, the Communist Party of Ireland and Sinn Féin, were in attendance.